Elevate Your View with a Smart Cable. 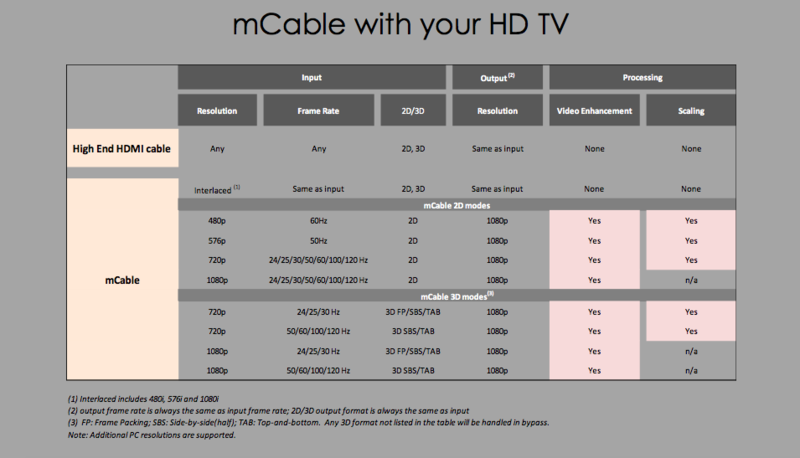 Thank you for purchasing mCable. We are extremely passionate about delivering the ultimate visual experience. Like you, it drives us crazy when we see companies who promise a superior experience, only to discover it’s nothing more than a shiny package with no substance and priced at a premium. That’s why Marseille was created – to unleash the passion of gamers, movie lovers and everyone who wants to get the most our of their content with a stunning entertainment experience that exceeds expectations. WE LOVE HEARING FROM CUSTOMERS - REALLY. 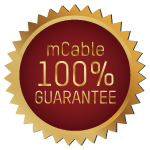 Your experience with Marseille and mCable is important to us, and we take it seriously. If you’re experiencing problems of any kind, have feedback on what you love, or even suggestions for future improvements, please email us at support@marseilleinc.com or call us at +1 (800) 430-1467. 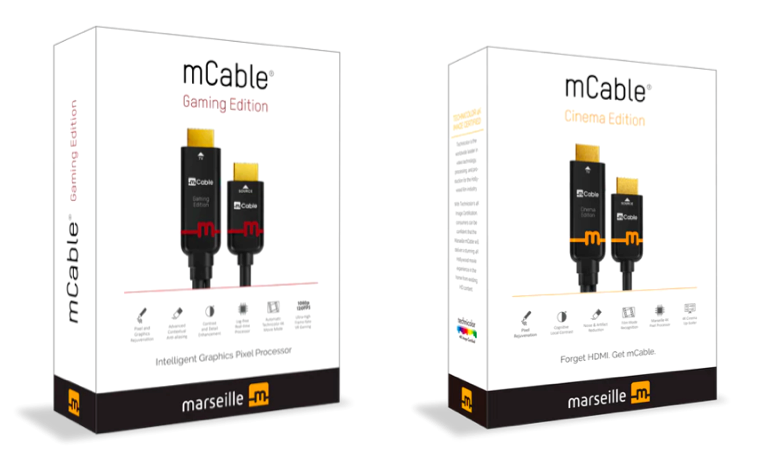 IMPORTANT NOTICE: To ensure you are getting the best performance, most recent product offering, and a true authentic mCable, purchase only from Marseille. 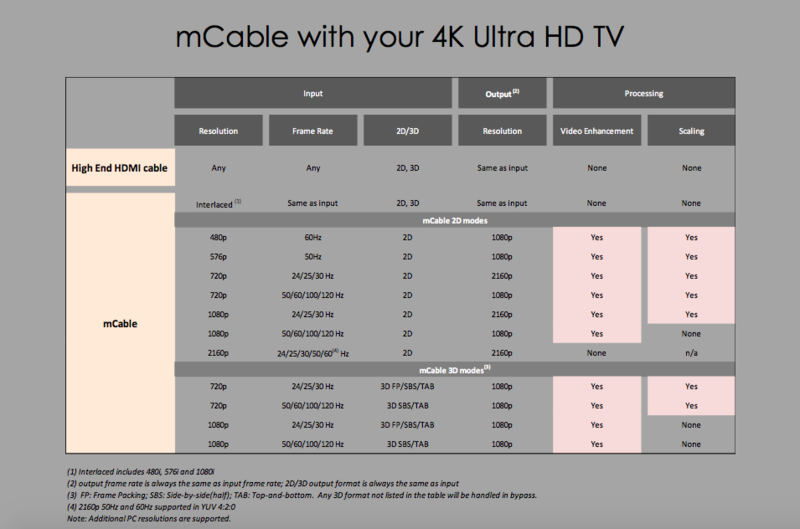 Because of mCable's growing popularity, be wary of purchasing from unauthorized sellers at a lower price. These products are not covered by Marseille's warranty and may be older or reconditioned versions of our product. You may return most new, unopened items within 30 days of delivery for a full refund within the US. We'll also pay the return shipping costs if the return is a result of our error (i.e. you received an incorrect or defective item, etc.). Any other return shipment cost is the customer responsibility. Any damaged product will not be refunded in full. Open boxes returned due to customer error at the time of order, are subject to a 20% restocking fee. Per our 30 day 100% satisfaction and money back guarantee, you can return any product in full and original working condition and original packaging (as the product was originally received) for a full refund. You should expect to receive your refund within 30 days of giving your package to the return shipper for US domestic sales. For international sales you should expect to receive your refund in 6-8 weeks. In some cases, you will receive a refund more quickly. If you need to return an item, please email us at support@marseilleinc.com with your order number and details about the product you would like to return. We will respond quickly with instructions for how to return items from your order. International Customs Duty, handling fees, office fees, and VAT Tax may be collected by your postal services or shipping company on delivery. Please check with your customs and local postal service for Terms and Conditions (T&C) and other applicable fees and rates, and customs duty fees in your country. It is the responsibility of the customer to contact the proper agencies in their country to assess the total charges on their imported product. Please note Marseille is not responsible for duties charged by different countries - it is the sole responsibility of the customer.